Their research, entitled “Experimental simulation of closed timelike curves “, is published in the latest issue of NatureCommunications. The grandfather paradox states that if a time traveler were to go back in time, he could accidentally prevent his grandparents from meeting, and thus prevent his own birth. However, if he had never been born, he could never have traveled back in time, in the first place. The paradoxes are largely caused by Einstein’s theory of relativity, and the solution to it, the Gödel metric. Gravity can also bend time, and Einstein’s theory of general relativity suggests that it would be possible to travel backwards in time by following a space-time path, i.e. 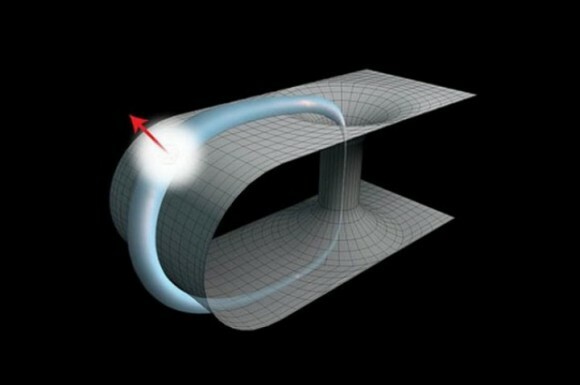 a closed timeline curve that returns to the starting point in space, but arrives at an earlier time. It was predicted in 1991 that quantum mechanics could avoid some of the paradoxes caused by Einstein’s theory of relativity, as quantum particles behave almost outside the realm of physics. Shopping in Dubai Looking forward to reading more. Great article post.Much thanks again. Keep writing. toy haulers for sale Hey, thanks for the blog post.Thanks Again. Cool.